St. IGNUcius, aka Richard Stallman. Photo by Anders Brenna. At 12:30 am on the 27th of September, 1983, a single Usenet post began a revolution. Starting this Thanksgiving I am going to write a complete Unix-compatible software system called GNU (for GNU’s Not Unix), and give it away free to everyone who can use it. Contributions of time, money, programs and equipment are greatly needed. The fact is no one besides us has invested a lot of money in hobby software. We have written 6800 BASIC and are writing 8080 APL and 6800 APL, but there is very little incentive to make this software available to hobbyists. Most directly, the thing you do is theft. This world, where any use of someone else’s software or even snippets of their code is considered “theft,” is very much the world of today. Closed. Locked down. Copyrighted. Patent pending. It is a world that, above all else, does not care about a user’s freedom. The revolution that Richard M. Stallman started from Oz began on this foundation: freedom above all. Rather than deal with the Bill Gateses of the world and their notions of “ripping off” software, Mr. Stallman chose to design software on the principle of “free”–not free as in “free beer” but free as in “free speech.” In so doing, he began to create an ethical alternative to the ever-encroaching model of patents, end user license agreements and non-disclosures. Especially interesting in the text is Mr. Stallman’s take on the “open source” movement that has forked off (if you’ll forgive the pseudo-hacker terminology) from his original ideas of free software. The dissonance between the free software movement and the open source movement instructs a reader swiftly in what is actually at stake whenever discussions about software freedom occur. Free software proponents like Mr. Stallman on the other hand seize upon that promise as though it is the thing that matters most of all. Freedom in that sense is the precondition anything else: innovation, “openness,” flexibility, quality are meaningless without it. At any rate, the greater innovation and quality promised by open source has not occurred; one can easily argue that innovation and quality are stronger by far in the proprietary “cathedral” model of non-free companies like Apple and Adobe. If open source does not have these proclaimed advantages, what does it have? It has only freedom, yet shies away from discussing such freedom in favor of gaining followers. The question then becomes: how much freedom will you sacrifice to achieve your goals? Are you going to give up your essential freedoms to have a a “business-friendly” Internet, a “secure” Internet, a “safe” Internet? For Richard Stallman the answer remains the same as ever: none of it. Because every piece of free software respects its users’ freedom, advocates of software freedom argue that each piece of free software begins with an inherent ethical advantage over proprietary competitors—even a more featureful one. Mr. Stallman’s strict ethics put him regularly at odds with the nascent “open source” movement, who prefer not to talk about freedom, even though the main body of their work relies largely upon the developments initiated by free software adherents, including Mr. Stallman himself. Freedom, apparently, is something they view as sacred only to hackers while everyone else simply wants a safe business plan. 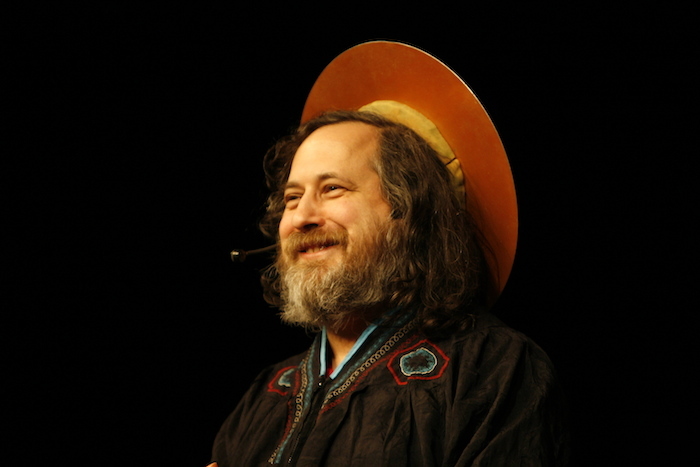 Looking at the life of Richard Stallman, it is easy to see the price he has paid for freedom–not just his own, but the freedom of everyone who uses a computer. That others cannot be bothered to pay such a price themselves but rather yield their own freedom easily to anyone who offers a shiny, seductive toy and the promise of ease makes his story even more relevant now than it was in 2002, when the book was first printed. In the first edition of his biography of Mr. Stallman, Sam Williams sketched a version of his subject that was by turns vicious, admirable, honest, eccentric, brutal–in short, a lot like any complex human being. In Version 2.0, Mr. Stallman has added his own clarifications, which themselves make for fascinating reading. 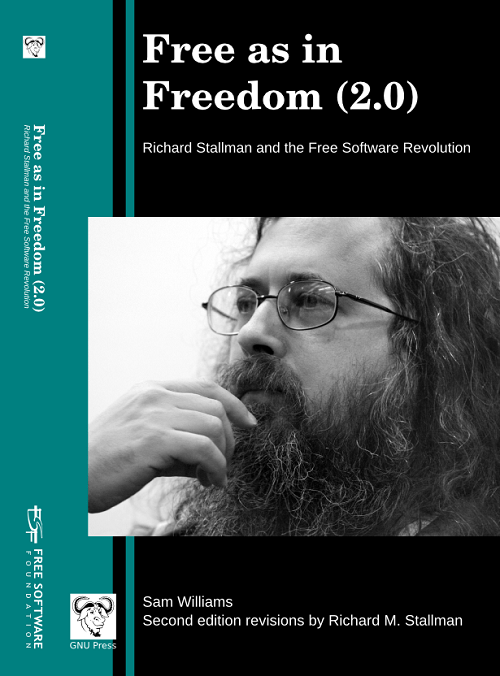 Free as in Freedom 2.0 may not make you “like” Richard M. Stallman any more than his detractors to. But it will make it hard not to take his ideas seriously, and even harder for you not to admire the man for such dogged belief in principles that virtually all Americans are willing to slough off as less important than being cool. Download Free as in Freedom 2.0 EPUB here.